Finnish police investigate a Friday's stabbing attack in the city of Turku as "murders with terrorist intent," The National Bureau of Investigation (NBI) also said Saturday. — Keskusrikospoliisi (@krp_poliisi) 19 августа 2017 г. The suspect behind the stabbing attack is an 18 years old Moroccan man, the Reuters news agency reports, citing local police services. The investigation continues together w/ @L-@L_S_poliisi @Suojelupoliisi @raja and @Europol. More info in a press conf in Turku at 14:00. In addition to the 18-year-old suspected perpetrator of the stabbing attack in the city of Turku, the Finnish police arrested four other people over possible links to the accident, the National Bureau of Investigation also said. In addition to the main suspect, 4 other men have been arrested as suspects. Their involvement is yet to be established. ​Several people were stabbed in the central area of Turku, Finland on Friday. One person has been apprehended. One of the victims is reportedly an old woman. — Darren Oatway (@DarrenOatway) 19 августа 2017 г.
Eyewitnesses also stated they heard shots in the area. 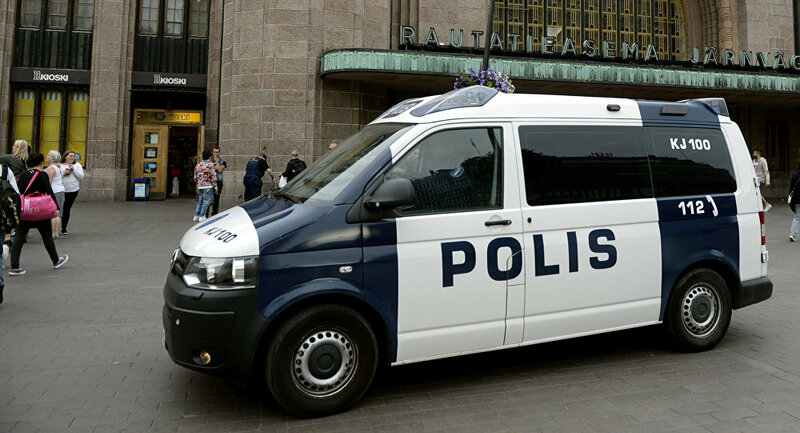 #Finland #Turku — Deceased victims are Finnish nationals. 1 Italian national and 2 Swedish nationals among the injured victims. — Terror Events (@TerrorEvents) 19 августа 2017 г.